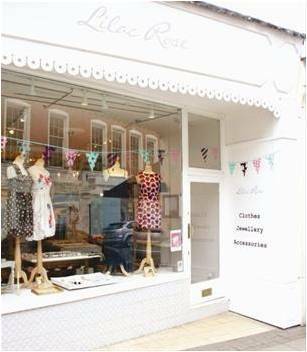 Lilac Rose is an independent fashion boutique selling clothes, jewellery and accessories. Bored with the high street and frustrated with the lack of independent clothes shops in our area, we decided to do something about it – so we started Lilac Rose. We opened our first shop in 2005 in beautiful Leamington Spa. Our ambition was to create an environment where customers feel welcome, providing an unparalleled shopping experience and bringing a bit of theatre and fun to the high street! Our Leamington Spa shop was so successful that in 2010 we opened a second shop in Cambridge, another handsome English town. And we haven’t paused for breath since.